The California Water Resources Control Board oversees emissions of pollutants, including industrial chemicals, from commercial buildings into California’s natural waterways. The Water Board also issues violations and levies financial penalties against those commercial buildings that violate state regulations. 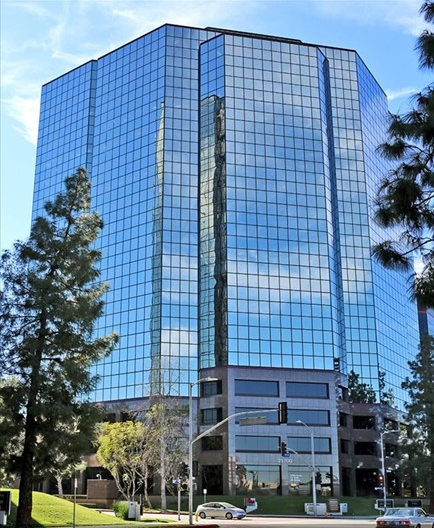 At least seven buildings in the Los Angeles area belonging to the realty trust Douglas Emmett Inc. are regulated by the Water Board’s waste discharge permits. Between them, the seven buildings have committed 58 violations since 2012 and incurred 14 enforcement actions resulting in $510,000 of fines since 2008—all during Douglas Emmett’s tenure as owner or manager. Search the Water Board’s enforcement actions HERE. Today DE-Tenants.org will look at the enforcement actions filed against the Douglass Emmett-owned building called “Tower 6,” a part of Warner Center located at 21700 Oxnard Street, Woodland Hills, CA, 91367. Tower 6 has been subject to one enforcement action in 2010. Per enforcement action 375893, the state of California launched and Administrative Civil Liability suit against Douglas Emmett alleging that the company was pouring inappropriate waste run-off into the Arroyo Calabasas, a Los Angeles River tributary upstream of Sepulveda Flood Basin. The run-off was overly acidic and contained dissolved solid material. 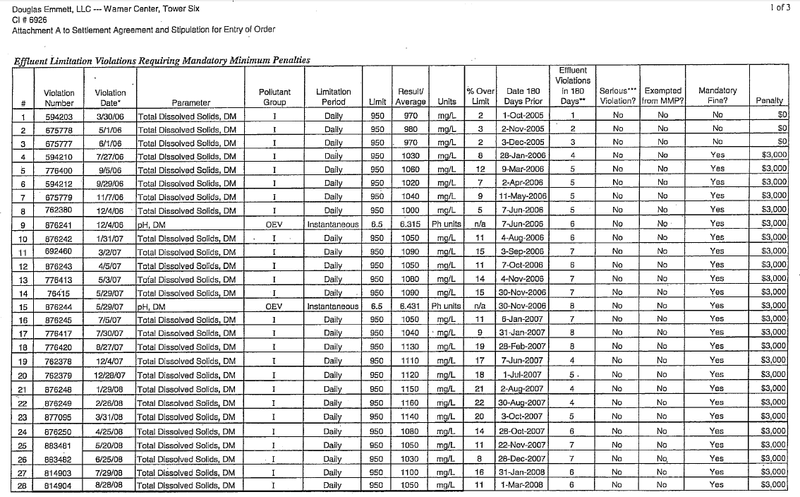 California catalogued 43 effluent violations for run-off and eight reporting violations. The state successfully fined Douglas Emmett $156,000 as part of a settlement deal.